With two weeks to go until the release of book three in the Jessica Daniel series, The Woman In Black, I am starting a competition where you can win signed copies of the paperbacks. 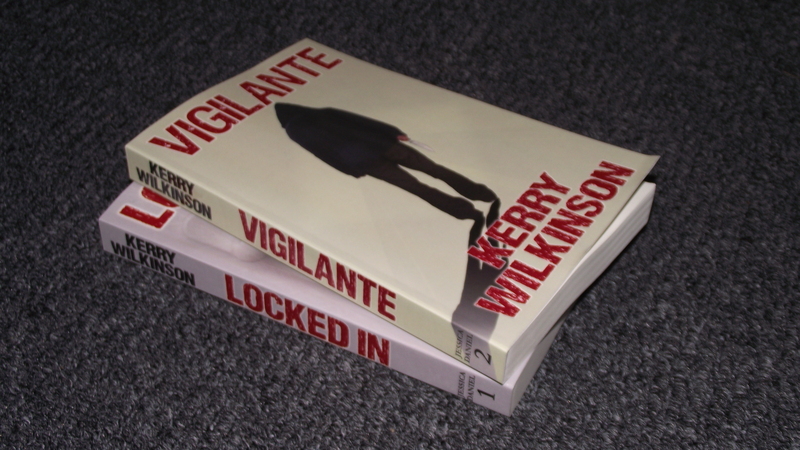 All you have to do is review any of the first three books – Locked In, Vigilante or The Woman In Black – on Amazon UK, Waterstones, or iTunes. When you have done that, email me your name and address – plus a link to the review – and that’s it. If you review all three books, that gets you three entries. On January 31, 2012, I will draw a winner at random, announce your name on this website and on Twitter, and send you your books. All current reviews stand, so if you have reviewed the book already, email me your name/address and the link and I will enter you. It’s as simple as that, so good luck and thank you for reading.